Wearing a cycling jersey isn’t a requirement for riding a bike, but wearing a jersey does make for a more comfortable ride. What’s so special about these jerseys? The answer is in its material, the fit and the features. 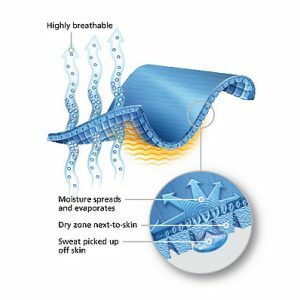 Cycling jerseys are made of moisture moving fabrics that pull perspiration off your body and move it to the outside of the garment where it evaporates quickly. By keeping you dry, the Fabric will keep you cooler when the mercury rises. In the case of fall and spring riding, long sleeve Jerseys are built to both move moisture and insulate. Cool weather jerseys will keep you warm and dry. Cycling jerseys are cut to follow the natural lines of your body while riding. They use grippers to stay in place as you move around the bicycle. Long sleeve jerseys are also designed with longer sleeves than normal clothes, those sleeves will maintain coverage even as you reach out to hold the bars. Many jerseys have pockets to help you carry things like food, phones, or tools. If you are a fan of listening to music as you ride, a lot of Jerseys also incorporate ports that let you run earbuds inside the jersey rather than having them flap around in the wind. 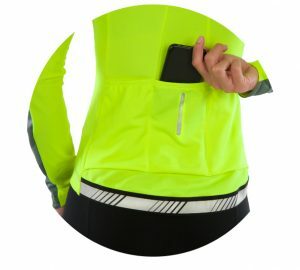 For safety, Many jerseys include some reflective features making you more visible while out on the road. Some may be wary of wearing a cycling jersey, because they’ve only seen the ones that look as though they were made out of spandex. Well, times have changed, and there are now many styles and materials to choose from. 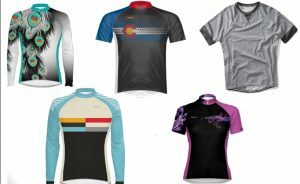 Looser, Jerseys offer the same moisture wicking material, cycling cut, and features without the form fit look. When standing bolt upright, the jersey will feel short in the front and long in the back. It’s important to lean over a bit and try to replicate your cycling position (try putting your hands on your knees). If the jersey still feels too short or long, then look for a new size or fit. Costs will vary widely based on the material and complexity of the construction. From synthetic fibers to natural ones with every combination in between, jerseys use different materials to create something that is both functional and comfortable. Keep these tips in mind when looking for the jersey that’s right for you. With hundreds of brands and thousands of styles to choose from, you are sure to find something that you love. 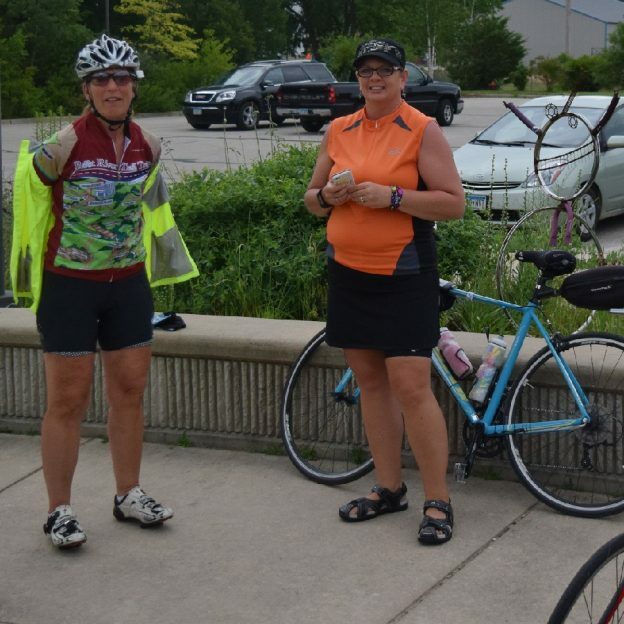 If you like the look of the jersey the cyclist (left) is wearing, you can order or register for the 3-day weekend Root River Bluff & Valley Bicycle Tour, this summer July 7,8 & 9, 2017. This entry was posted in and tagged #bikerideintheTwinCities, #braggingrightsguaranteed, #MinnesotaIronMan, #mtb, #ridemybicycle, cycling jerseys, Have Fun Biking, road bike on March 13, 2017 by John Brown.